Happy Congratulations is a two step stamping set: it's so easy to stamp the garland outline and fill in the lanterns with the solid stamp. Different colour combinations give a different feel but I rather liked this cool turquoise palette with a touch of gold from the sequins. 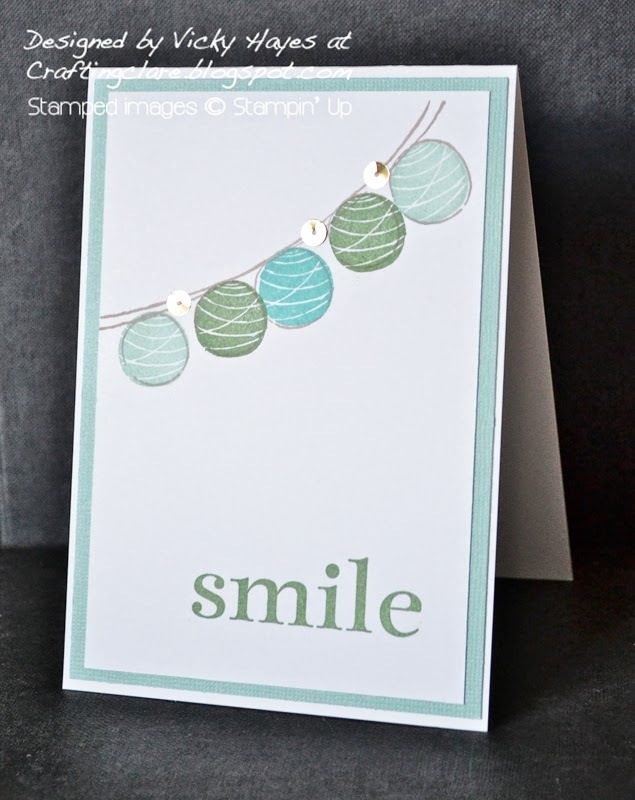 This card will be my second link up with Less is More where using the colour turquoise is the challenge this week. The holidays have kicked off with my eldest son taking the first opportunity possible to disappear off on a sleepover with his best pal and my younger son brushing up on some cookery skills between bouts of xbox gaming (check my facebook page for a delicious, fast, no added sugar dessert that he found on Pinterest.) My daughter has been working far too hard so I made her take a break to watch a film with me. 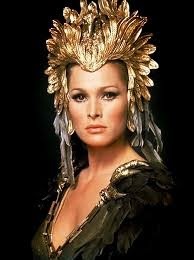 We watched an old film called She - does anyone remember it? There's a great review here if you're interested and I would definitely agree with the author who writes "in spite of the poor reviews for She, and the fact it clearly is a load of old tosh, I found myself enjoying it immensely." My daughter: "What's for dinner Mum?" Me:"Would you like a cup of tea darling?" My daughter: "Not really. You couldn't do a me a nice warm scotch could you?!" Off for a nice warm Scotch now! (aka Coffee!). This is gorgeous Vicky, it looks so clean and crisp! I really like this card - the simple banner and touch of bling is fab! I remember the film She - I enjoyed it too! Enjoy the holidays with your family. Kathryn's spring break doesn't start until 18th April! Wow! this card is just stunning - I love it! Love your funky bunting Vicky and the colours are gorgeous:) I'm opting for a sloe gin as opposed to a warm scotch!